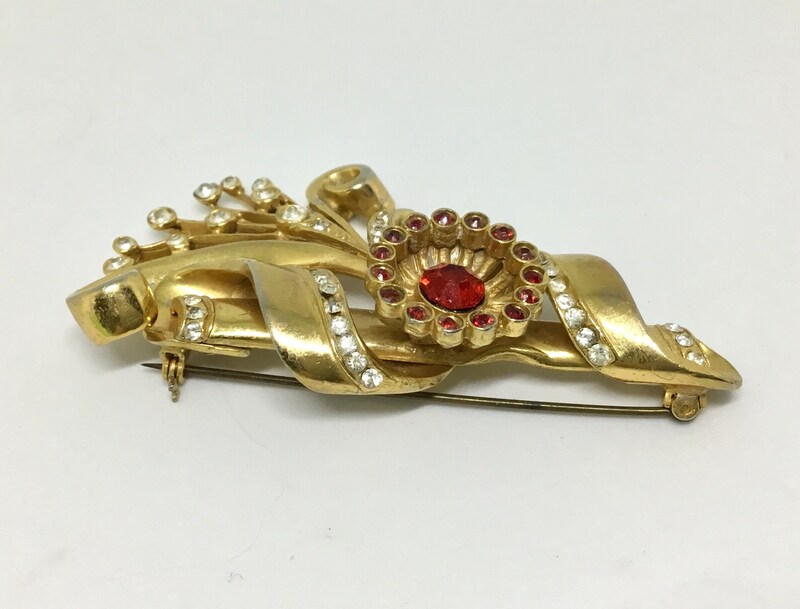 This is an amazing goldtone Art Deco brooch from the 30s/40s. There is no mark on the back, but it has some weight to it. 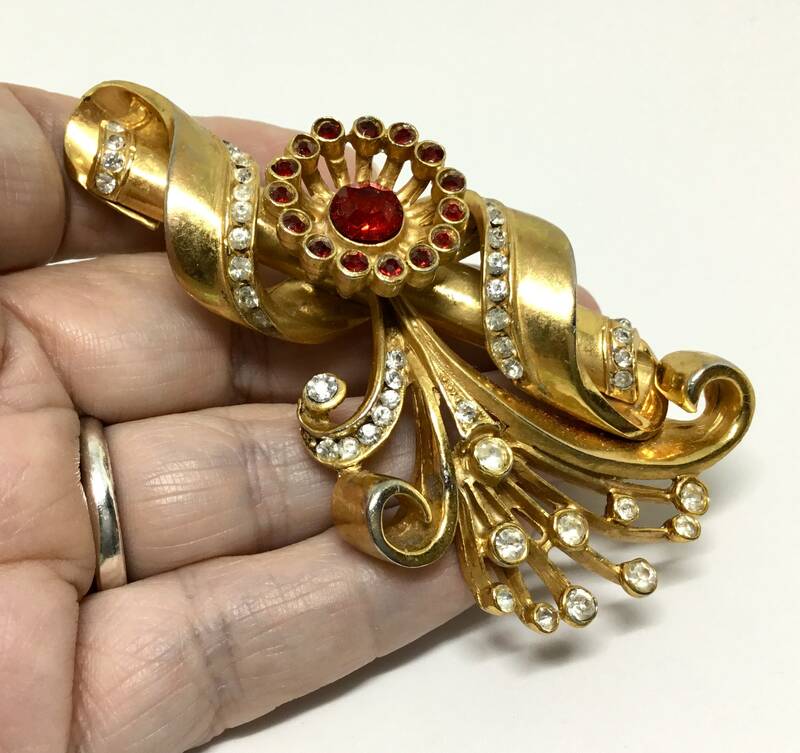 There are four goldtone swirls with the two larger ones having a row of clear sparkly rhinestones gently curving up the curling goldtone metal. 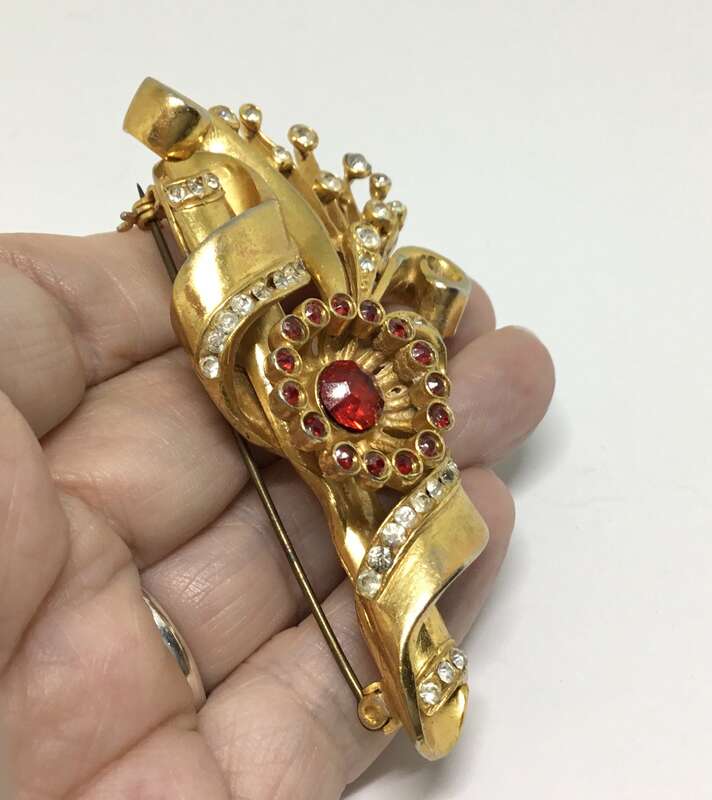 There is a spray of goldtone rods holding multiple clear rhinestones rising up from the two smaller goldtone swirls. 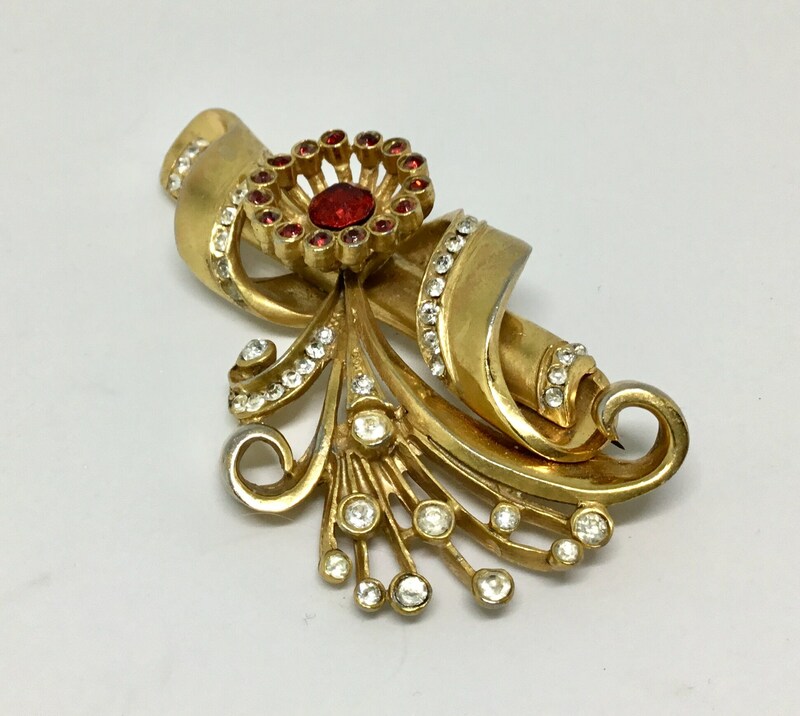 Sitting alone and on a high setting, giving much dimension and an unexpected focal point is a goldtone flower. 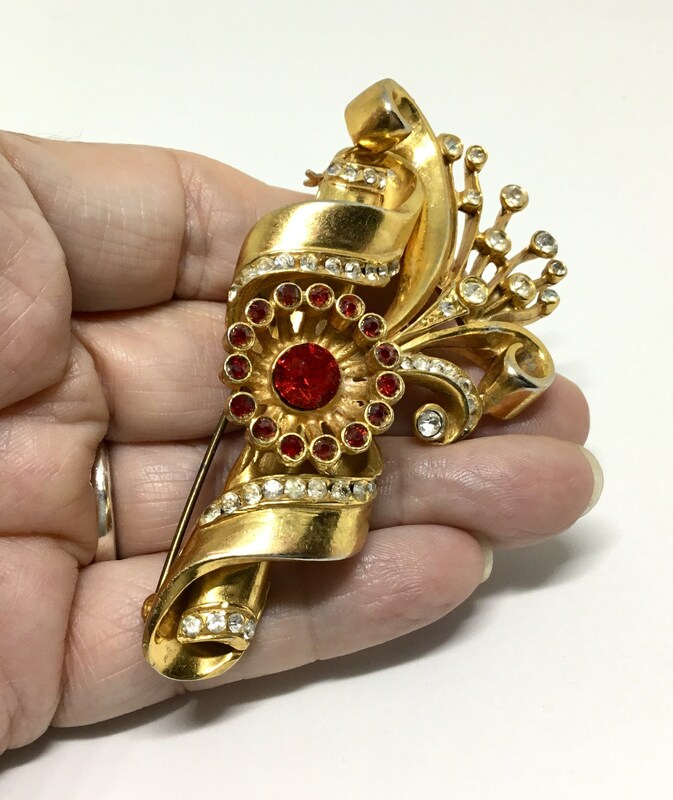 The flower has a circle of small red rhinestones with a large sparkly red rhinestone sitting down and inside the flower circle. 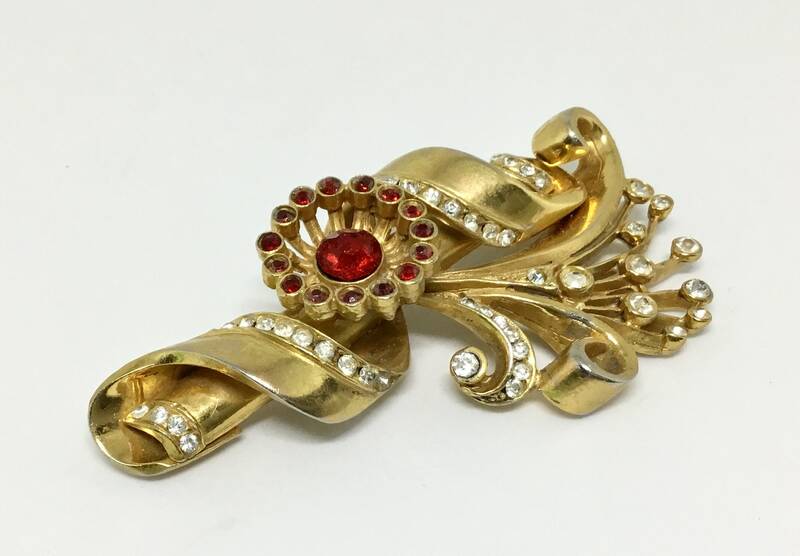 The goldtone metal is in good condition with few worn areas. 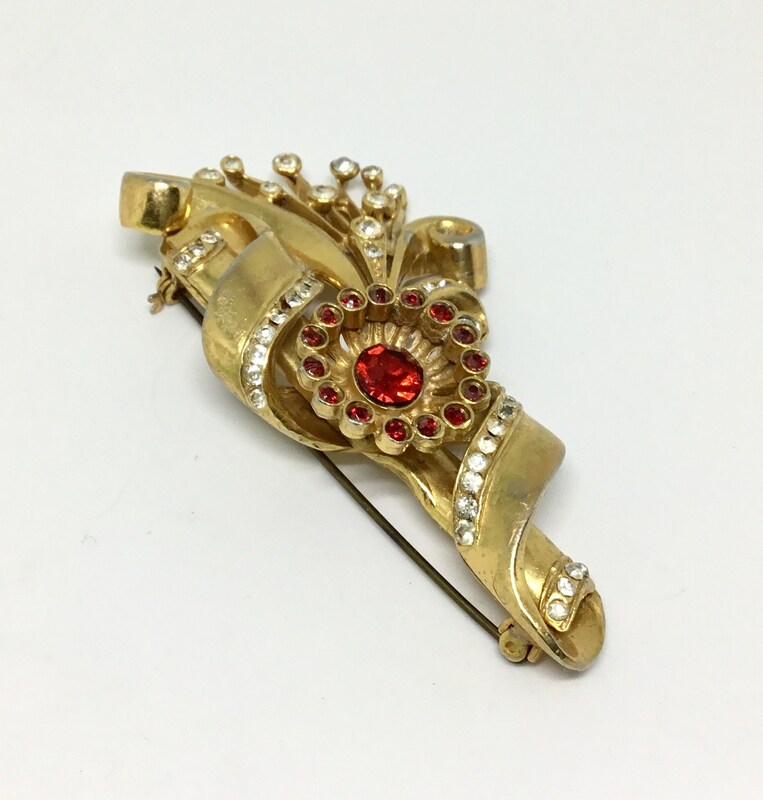 It measures 3” x 1 1/2” and the pin closure is straight and works smoothly and securely. 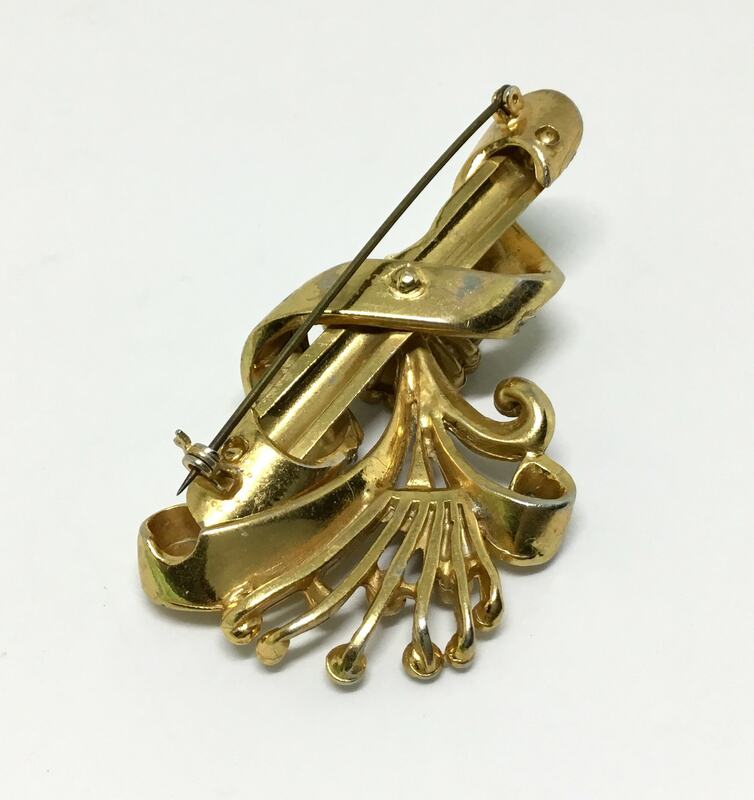 The pin itself is tarnished. 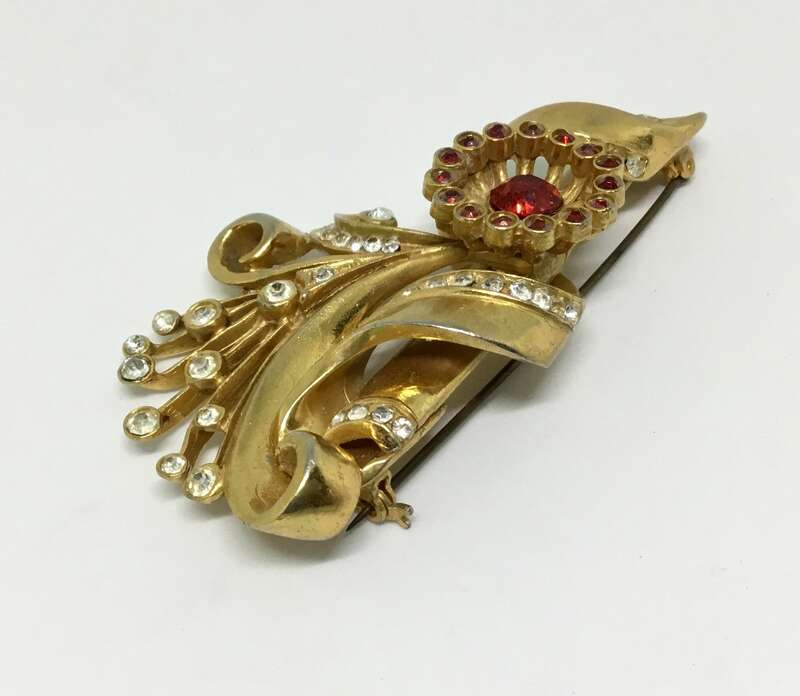 This elegant brooch is a statement piece and would be a great addition for any collector!